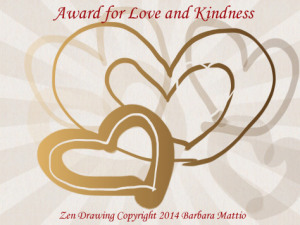 The Award for Love and Kindness! Thank you Eric, for extending Barbara’s hand of love, kindness and peace to me! A few words about Eric! He likes to be identified as a Christian and believes in a monotheistic Godhead but discusses Divine Truth, spirituality, life and existence with a very open mind! He glides through various philosophical thoughts, religions, cultures, traditions and esoteric practices with the balance and fairness of an accomplished mentor! His blog is therefore a veritable classroom for Truth seekers; irrespective of their religion, spiritual endeavor/ orientation! With a grateful heart, I dedicate the award to all friends and readers of Purpleraysblog! 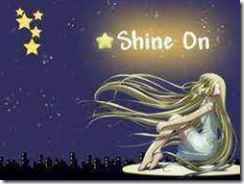 Your support and encouragement together with the inspirations you share on your various blogs have made every of my single day a joyful experience to look forward to! Warm wishes of love, kindness and peace to you all! Its simple acceptance condition stands the award out: write a short piece on why you are accepting it! That’s it! Tracy opened my eyes to the world of the scourge of breast cancer and what my late cousin secretively endured! In her last days, my cousin was always ‘seeing the doctor’ and her closest confidants only told us she had BP problems! It was only months after she had passed on that I stumbled on the information that she actually had breast cancer. I was speechless and still don’t understand why they shrouded her illness in such secrecy! Every now and then I keep wondering how many more health issues are firmly tucked away in my extended family cupboards? Fortunately, she is gradually recovering and as usual, taking life as it comes with exemplarily positive attitude! Blog Awards are like Hugs; they deserve some appreciation! 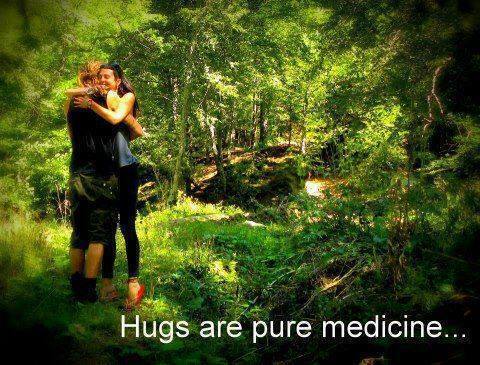 Awards are like hugs and nominations are like out-stretched arms for a warm embrace! Once someone offers you one, courtesy demands that you also reach out or, at least, tone it down to a handshake; unless, you have serious issues with the person! “If you don’t accept it, I’ll understand”! That triggered an alarm bell! I could immediately recall that this was not the first nomination from this guy and, this was not the tone of a happy friend! I’m therefore going back to the early days of this blog! Every single nomination will be acknowledged with a thank-you post and a partial fulfillment of the award conditions! Partial, since I may not send out nominations because I’ve lost count of my “No awards here, please” friends out there! Rather, I’d use the opportunity to honor friends who as beacons of light and enlightenment, are breathing positive energies into the hearts of their fellow humans and the entire Universe through their blogs! With few words and images these bloggers who resonate with the vibrations of the Light in Creation, have spread more wisdom, blessings and inspiration than many a pulpit and temple…..freely without an ‘offering’ box for appreciation! The least I can do is mention them in special dedications! So, if every now and then you find thank-you posts and, if they appear too frequent for your comfort, please bear with me! Like I said, awards are long distance hugs and like sincere friendly hugs they transmit pure energy and engender good, uplifting feelings! The least I can do is show appreciation! Awards Bounty from the Humble Prince! Early this week, the highly respected Ajaytao of http://ajaytao2010.worpress.com splashed the blogging community with awards. To every nominee he gave the options to choose two (2) or three (3) from a collection of thirteen (13) awards. This gesture, set off a string of goodwill and friendly sharing! Purplerays had the rare honor of two nominations! One with 2 slots for our post, “What do Blog Awards Mean to You? (A Shining example by Morgan), and, the other with 3 slots for, “WALK BY FAITH”! These were joyful moments not only because of the bountiful number of slots, but, also because of the hand they came from. Like we once said, “The life and essence of an award lies in the hand of the giver”. I cannot express myself properly. I don’t know how to put it in words but still let me try & tell you all, that whatever content, I have put in my blog, is everything which I am too passionate about, may it be ‘ Pictures, Books, Ebooks, Poetry, Religious Text, Quotes etc etc ; everything is just directly what I liked from my heart. Photography is a hobby(advanced), Writing is a hobby, Graphic Designing a hooby. Compilation & Reading a hobby, so the point is, I don’t want to take any credit as to what I do, or to what I have posted on this blog. I just want to share everything possible with you all. This is a lesson in humility and Vintage Ajaytao! We appreciate the honor and wish to pass it on to all our friends, readers and viewers. You are the real spirit and bearers of Purple Rays! 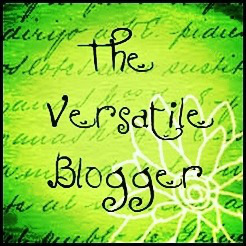 Last week, Purplerays was nominated for the Versatile Blogger Award. This nomination was particularly special and full of pleasant vibes! Why so special? Is every award not special? Is it your first award or your first time of receiving this award? These and many more questions you may ask! True, every award is special, a gift, an appreciation and a handshake! However what makes an award ‘particularly’ special; what makes a handshake warm and even turn it to an intimate hug, is the enthusiasm and value the person who nominated you attaches to the award. The life and essence of an award lies in the hands of the giver! Nine-tenth of bloggers take blog awards for granted and when they ‘have the time’ to acknowledge a nomination, they do so as a matter of courtesy! No problem with that; everyone should have the right and discretion to acknowledge, accept or reject a gift! But why pass them on? Why nominate and pass on an award that means little of nothing to you? The good, happy and engaging bloggers on WordPress deserve much more than cold patronizing! Morgan is a versatile writer, no doubt! She has proven right the saying that when the blogger is ready, ideas come flooding from different directions! Although barely 2 months old, her blog has well over 220 unique, thought-provoking and sometimes almost eerie posts in 10 categories! Over 220 posts; increasing like clockwork by the day; definitely a blogging sensation in the making! Her example speaks volumes: she received the award with joy and passed it on with joy! We her nominees could not but perceive and share in the joy! This is what makes the award a joyful experience! 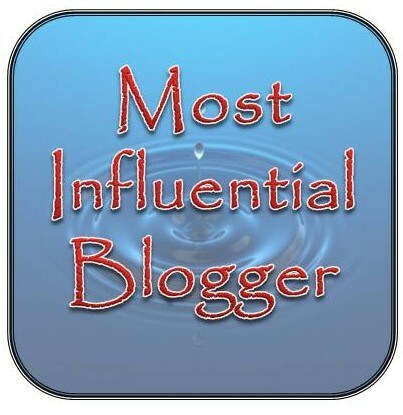 ….and you, dear friends, what value do you place on blog awards? If they mean nothing to you, you do not have to pass them on! Share your warmth, not your unwanted baggage! That’s what friends are for! 45 Likes in 3 Minutes! How Did He Do It? Last Tuesday, I opened my mailbox to find that one blogger (not a follower) had hit Purplerays with 45 likes. This kind of got my feelings mixed up! For sure, I value every visitor to my blog, no matter how casual, and truly appreciate those who go further to like, comment, reblog, nominate, or, take any other similar action. More so, the blog has opened up a whole new world of warm friendship and selfless sharing! For this and many more reasons, I am eternally grateful to WordPress and my friends on the platform! On the other hand, experience has shown that mass likers are impatient readers! They simply skim through your post, click some likes and move on. The big boys and big girls (bloggers) are the worst culprits! They don’t visit often and when they come calling, in a jiffy, they drop 4 or 5 likes; more like a pat on the back. 45 posts comprising, 37 text, and 8 photo materials all inside of 4 minutes; i.e. approximately 5 seconds per post? I checked out his blog and believe me, he is not just another new kid on the block! With over 132,000 hits, 1,400 followers and an archive dating back to October, 2010, the guy has sure got a handle on blogging! What am I missing? Still waiting for a reply! INNER PEACE AWARD came to town! Early this week, the WordPress blogosphere, particularly the spirituality/philosophy axis, was awash with Inner Peace Award. Summer’s blog started the avalanche, and within hours, many blogs were either offered or, already hoisting the Peace banner. It felt good! How I wish peace and good will could be spread among mankind with such love and generosity! The award’s magic lies primarily in its wording: INNER PEACE! 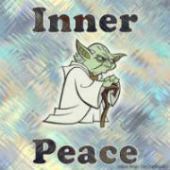 Who doesn’t wish himself or herself inner peace? “Go in peace”, “Peace be upon you”, “Peace, I leave with you”, are some of the unforgettable heralds given to mankind by Masters and Light Messengers over the ages! 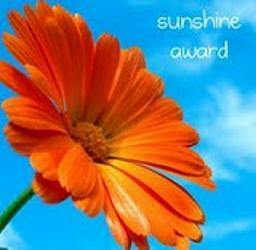 A second catch is that the award is easy to accept: offer it freely to all your followers, nominate a few if you so wish and leave an inspiring word on peace. You don’t have to dust up your bio data and string out a long list of nominees who in any case, either already have the award or, are too busy to even acknowledge your nomination. Purplerays benefited from the largese through nominations and open followership offers. See why I said it felt good? 2. Tatiana of http://poeticparadoxoflife.wordpress.com Easygoing but deep! She talks wisdom, love, success and happiness; one moment it is the usual everyday gist, the next moment, it is a sober spiritual reflection. That’s the paradox of life that Tatiana draws your attention to! Good, inspiring mind laced with a simple life principle….”love yourself and love ALL people”. 3. Soumyav of http://soumyav.wordpress.com The Lady of Words! She writes short, simple poems; but in their simplicity lie greatness and transcendent beauty. She breathes life into words and they become living pictures. You become part of the pictures and absorbed into a journey in non-physical space and time! Thank goodness, she always brings you back before signing off! . Thank you, great friends, for wishing me inner peace! May you also reap bountiful peace and love!